A full day workshop (8:00am - 5:00pm) designed to enhance the understanding of the claims department's role for the underwriter. Subjects include the claims department's objectives, the claims department's functions, the adjuster's duties and responsibilities, fields of knowledge and attributes. A portion of the day is set aside to answer questions from underwriters regarding the operations and procedures of claims functions. The goal of this workshop is to increase the underwriter's awareness and understanding of just how a claims operation works. A full day workshop (8:00am - 5:00pm) designed to enhance the understanding of the claims department's role for the agents. Subjects include the claims department's objectives, the claims department's functions, the adjuster's duties and responsibilities, fields of knowledge and attributes. A portion of the day is set aside to answer questions from agents regarding the operations and procedures of claims functions. 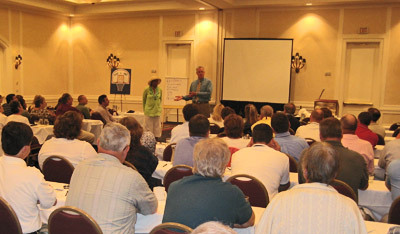 The goal of this workshop is to increase the agent's awareness and understanding of just how a claims operation works. A 1/2 day seminar focusing on the elements of a legal contract, insurance policies as contract of adhesion, and interpreting coverage under those contracts. The goal of this seminar is to enhance the student's basic understanding of legal contracts and how insurance policies fit within that structure. A full day workshop (8:00am - 5:00pm) covering the basics of the automobile insurance policy which include an overview of the major sections and exposure to exclusions and conditions. The goal of this workshop is to introduce the basics of the automobile insurance policy to assist in future in depth training on the policy at a later time. This course is ideal for anyone new to the auto insurance policy that does not need to have a working knowledge the entire contract. A full day workshop (8:00am - 5:00pm) covering the basics of the homeowners insurance policy which includes an overview of the major sections and exposure to exclusions and conditions. The goal of this workshop is to introduce the basics of the homeowner insurance policy to assist in future in depth training on the policy at a later time. This course is ideal for anyone new to the homeowner insurance policy that does not need to have a working knowledge of the entire contract.